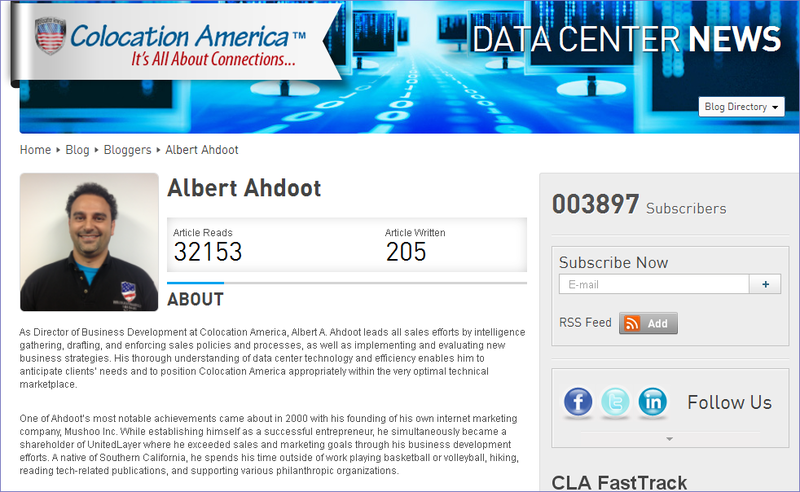 Albert Ahdoot dba Colocation America is part of a organized group of IT professional with questionable business practices. 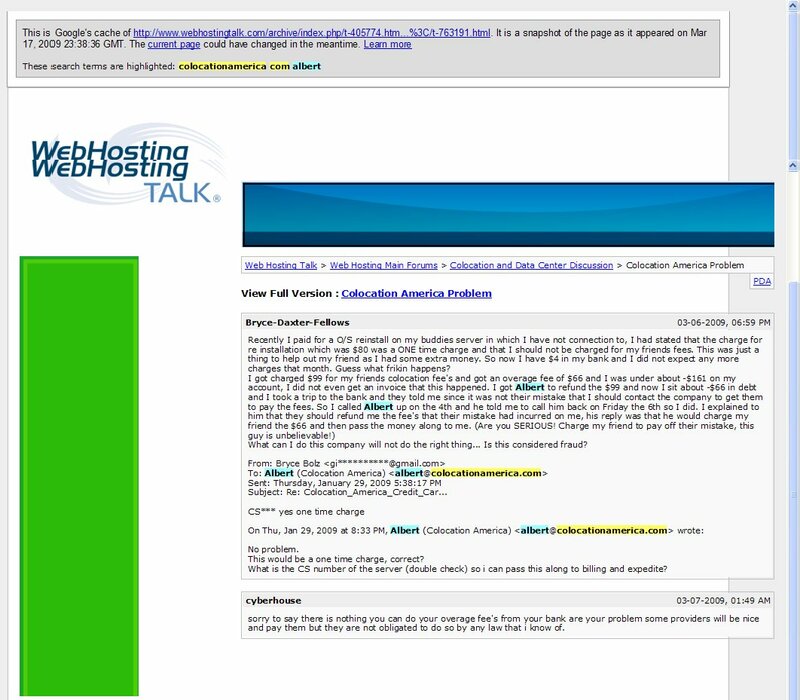 This group of individuals have been identified and reported on Spamhaus – Register of Known Spam Operations and are associated with about 75% of all cyber criminal activities online. 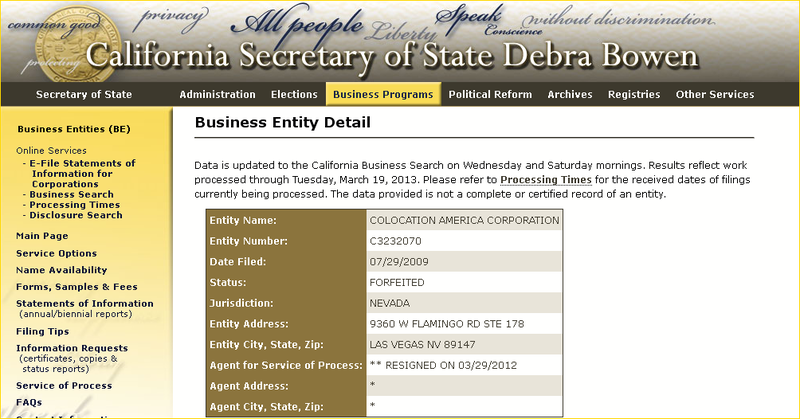 Colocation America Corporation, a Nevada Corporation owned and operated by one Albert A. Ahdoot aka Albert Ahdoot dba Colocation America ColocationUSA dba Colocation America, Inc, who was once accused of running a spam operation when he owned Net Global Marketing. The California license have been FORFEITED by the Secretary of State of California In spite of his Corporation license being forfeited, Albert Ahdoot continues to do business in California at the locations listed below. CONFERENCE ON FEBRUARY 14, 2013, AT 11:00 A.M.
SCEHDULING PRETRIAL 2/14/13 AT 11:00 A.M.
ARTHUR D’ANTONIO III OWNER OF JUSTMUGSHOTS.COM AND MUGSHOTS. CITIZENS INFORMATION ASSOCIATES LLC OWNER OF BUSTEDMUGSHOTS. Disclaimer : The public record information available here reflects the docket entries and journals required by Ohio law to be kept by the Lucas County Clerk of the Court of Common Pleas. This information reflects the actual documents filed and kept at the Clerk of Courts Legal Division, located in the Lucas County Courthouse, at Adams and Erie Streets in Toledo, Ohio, 43624. The data entry, though generally deemed reliable, cannot be guaranteed. 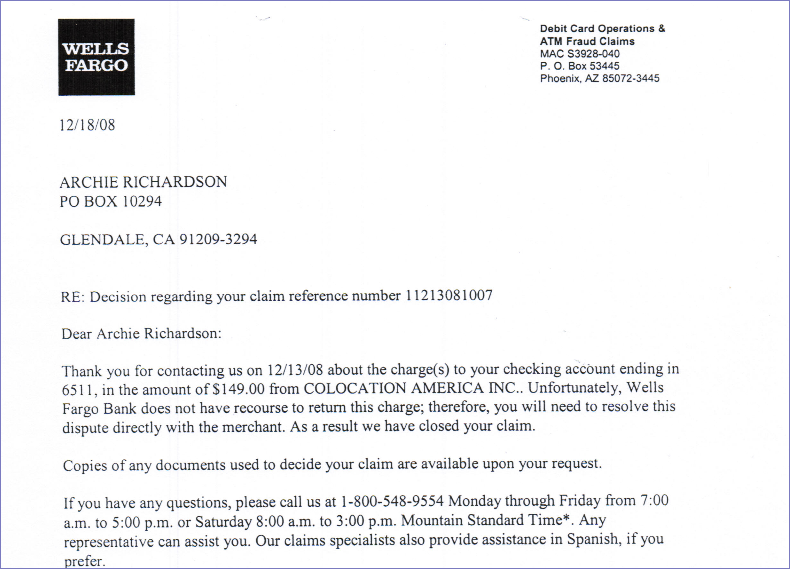 The information may appear on the Internet Docket before the entry is actually signed and journalized. Of course the proposed action is official only when signed and journalized. In no event shall the Lucas County Clerk of the Court of Common Pleas, or any other Lucas County department, agency, or official be held liable for damage of any nature, direct or indirect, arising from the use of this Internet product; including loss of profits, loss of savings, or other incidental or consequential damages.